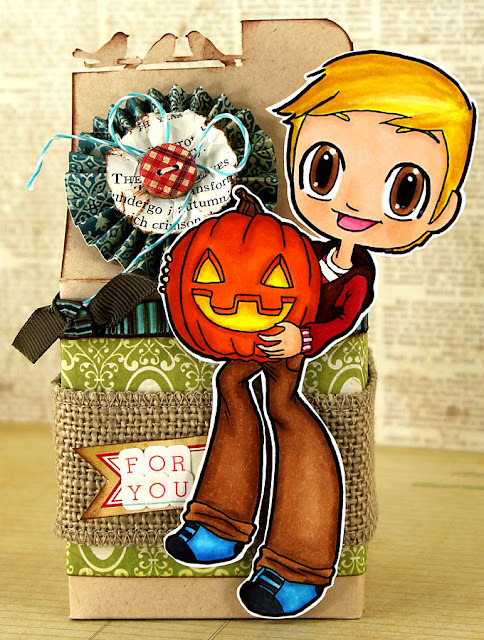 Leah's Crafty Life: Blog Hop with Some Odd Girl!!! I TOTALLY love how you made Kody look like different dudes on both projects! Your coloring is awesome! :D I especially love the gable box, I really need to steal your idea and get ahead on things like that for once lol! Thanks for being Odd with me! Wow, you made two!!! And they look like two different images! Wonderful jobs! 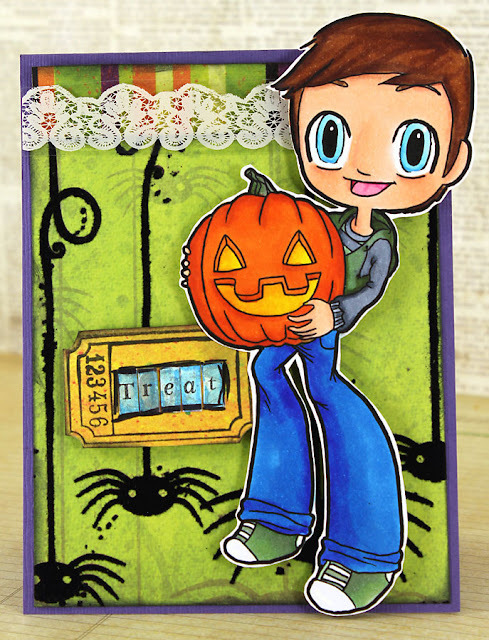 Awesome coloring and I love your elements on the first one-that burlap and crow punch are genius! What's a gable box though? I superlike your colourful creations! Thanks for showing different ways to color him! I'm new to Copics and still trying to figure out shading and shadows, etc. oh, LEAH! these are wonderful! you TOTALLY nailed the fall one, down to every last little detail and those bright, warm colours! and that second one - well the whole thing's fab, but i'm totally diggin' what you've done with the tiny alphas! BRILLIANT! thanks so much for contributing to this hop, which is AMAZING thanks to you talented ladies! Leah! These are both so fabulous! I am so in love with this Cody he is adorable! I love the punch at the top right! OK so I may be totally clueless but what is a Gable Box? I love these seriously you are super talented! I am so honored to be part of this hop with you! "Uber Scraptabular". LOL LOVE IT! He looks fantastic on both projects. Thanks for inspiring me to get my aRSe in gear to make something for the teachers too! I hope we can live up to your hop.......you have all totally rocked up the house with these images! Beautiful card and LOVE the image and your coloring!! These are just adorable. Love the burlap. Your pumpkins are colored so beautifully that they look like they glow!! Love em both - each so cute for so many different reasons! Awesome! So cool that you did two projects, he looks awesome in both!!! And aren't you the super mom for getting gifts together for the teachers - um, wicked cool you are! Great job! OH my - TWO beautiful creations!! I love how you used Kody - he looks fabulous in both styles! Gorgeous job! Ooh, I love your projects! They're so much fun! Ha ha, I had to look 3 times to see it was the same stamp!! 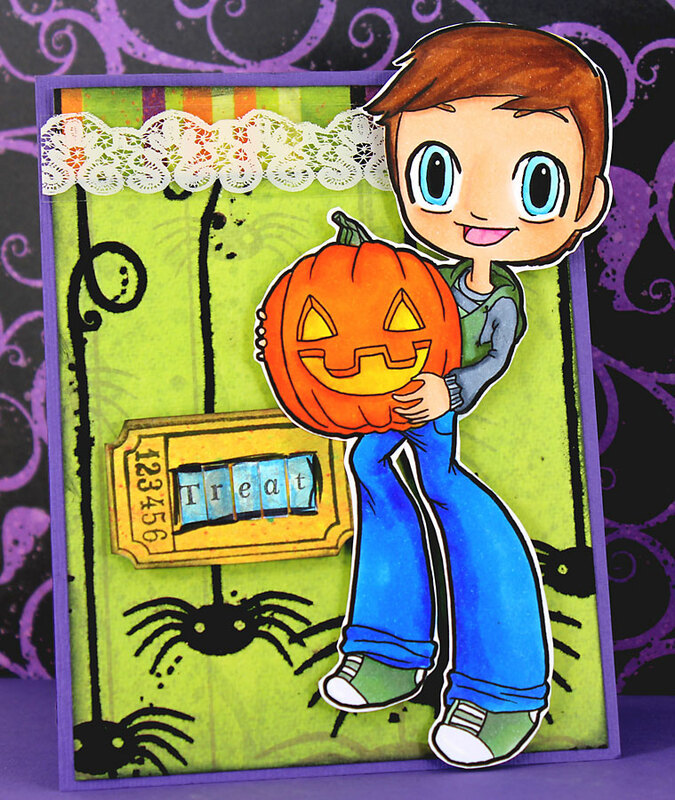 ;) Nice coloring and fun you show how the same stamp could be so different!! I LOVE that you did the two different takes on the image, it shows how just tweaking the background and adjusting your coloring makes them exactly what you need! TFS!! Coloring is superb! very bold and wonderful!! Great creation! Cute cute cute! I can't decide which is my favorite! Wowzers, Leah! Your creations are too cute! I LOVE the gable box - all the texture and details are amazing! Your card is icing on the cake - FABULOUS. Love the box for teachers! Nice how you used the same image for 2 different types of theme. OMG this is gorgeous!! totally! !